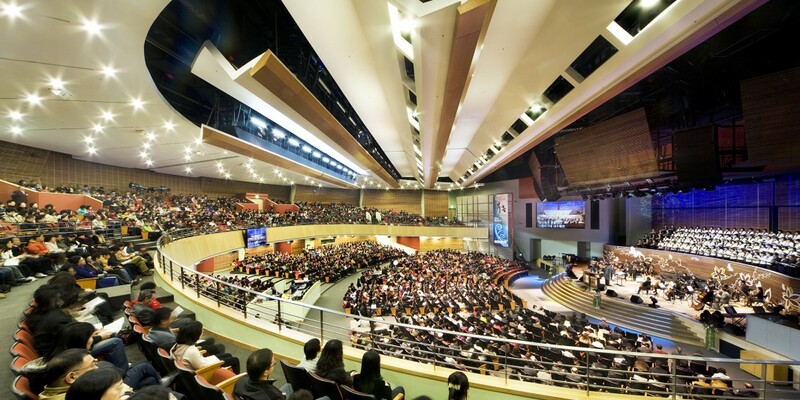 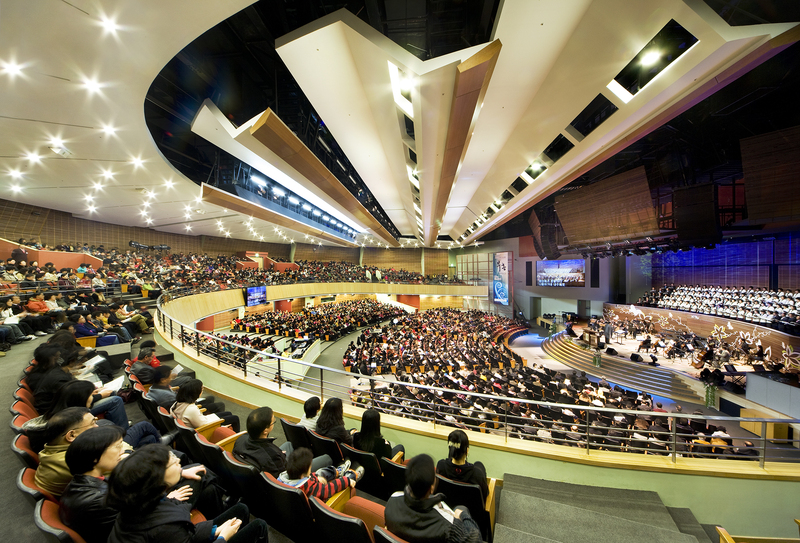 Shinkwang Presbyterian Church wanted to take advantage of innovative American ministry concepts but still fit into South Korea’s cultural and environmental context. 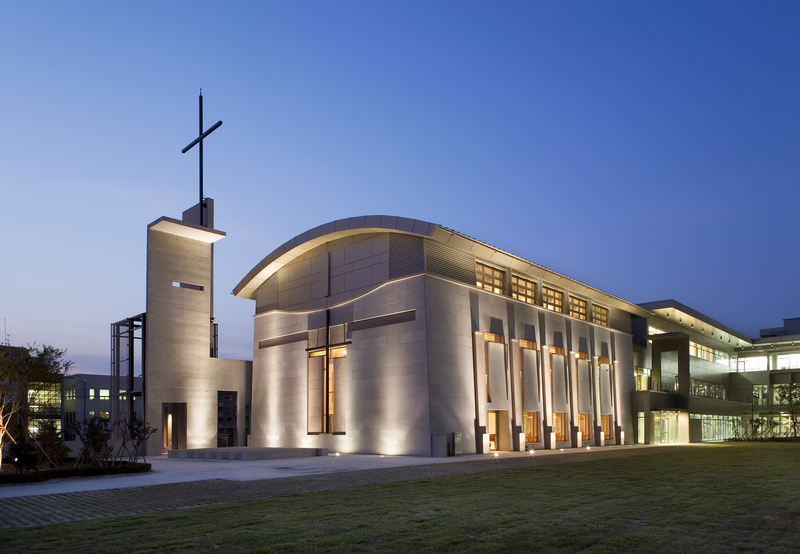 Beck’s design team was challenged to provide a unique design solution in order to place 300,000 SF of space on a small 7-acre site. 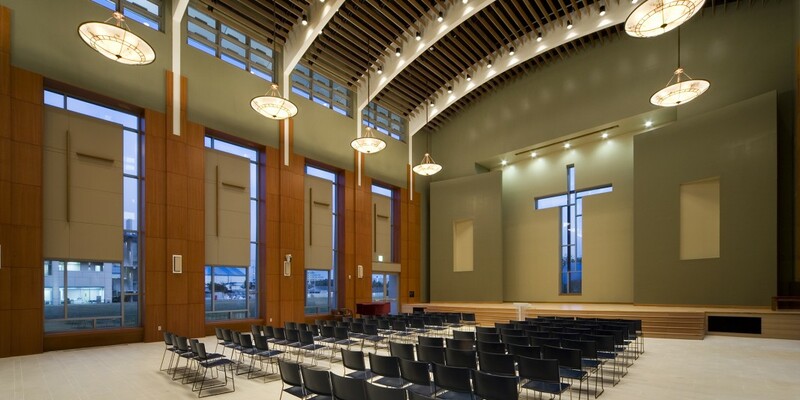 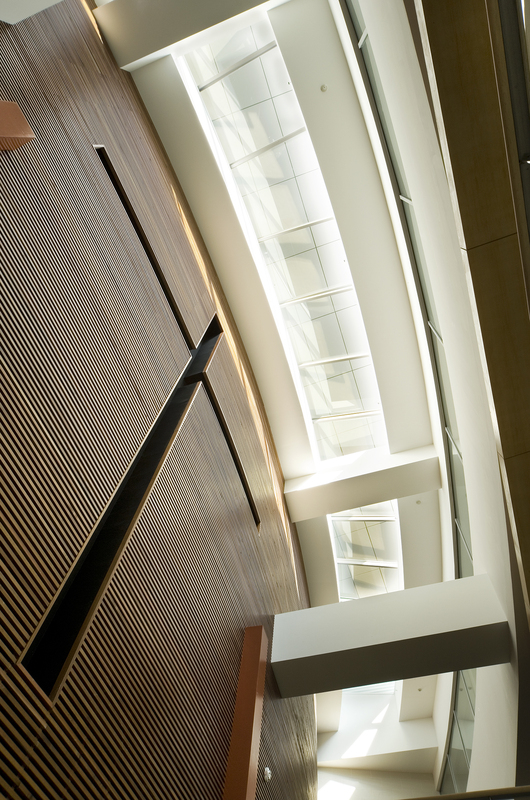 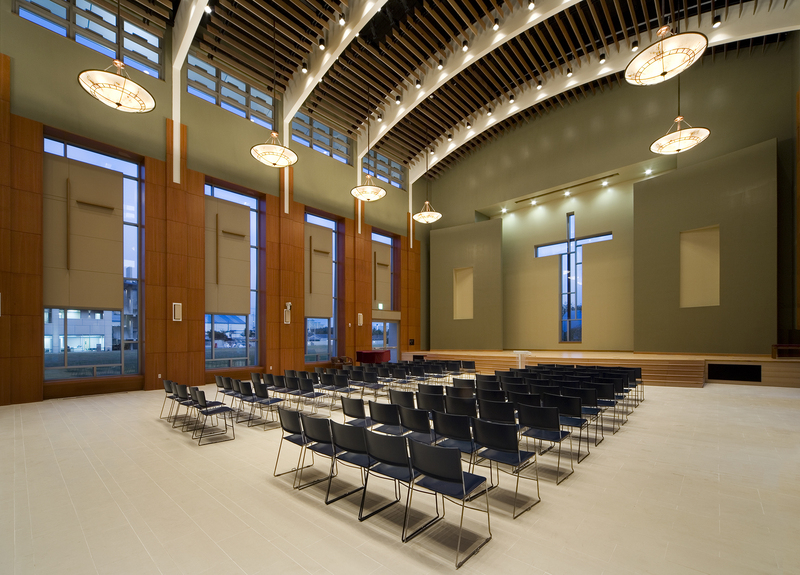 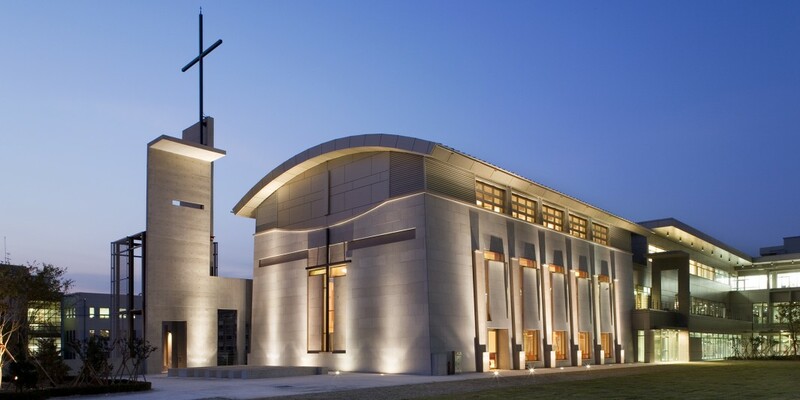 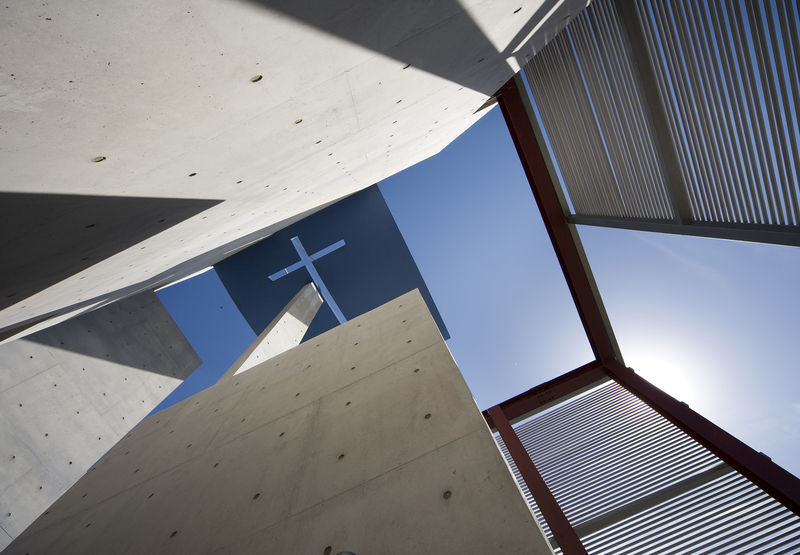 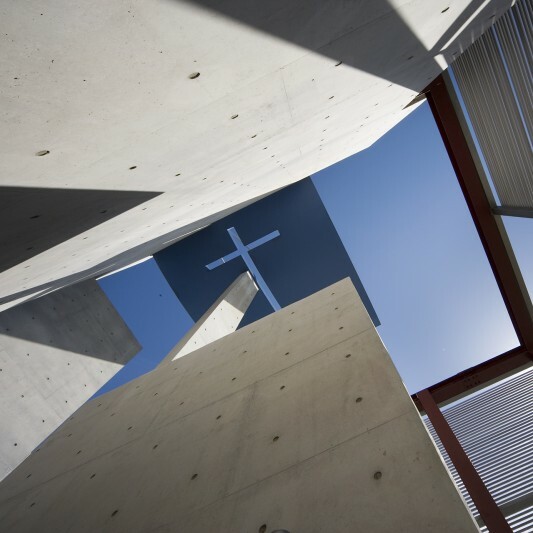 The church building accommodates a 2,500-seat sanctuary, 300-seat chapel, cafeteria, fitness facility, children and youth education facilities and a 500-car underground parking structure. 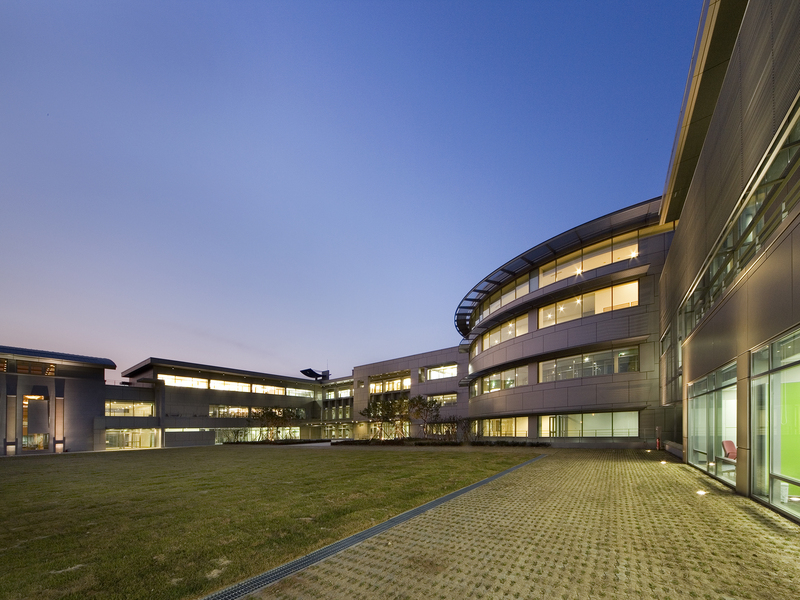 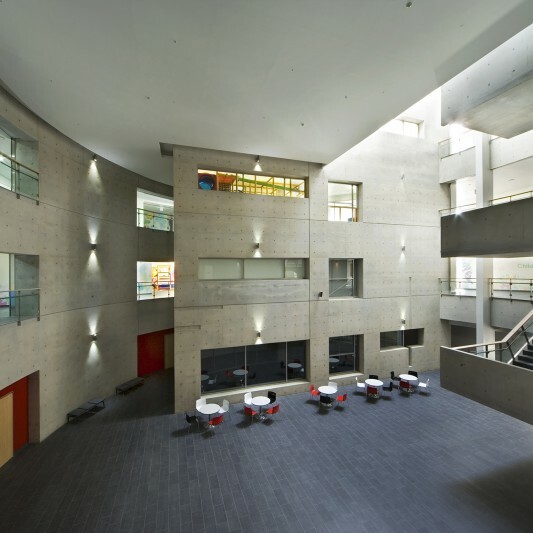 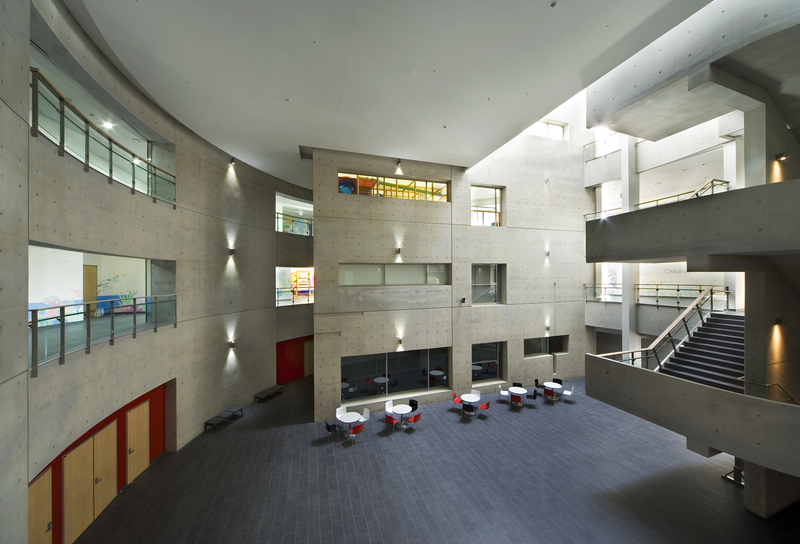 T In light of Korea’s high energy costs, the building was also designed to be extremely energy efficient. 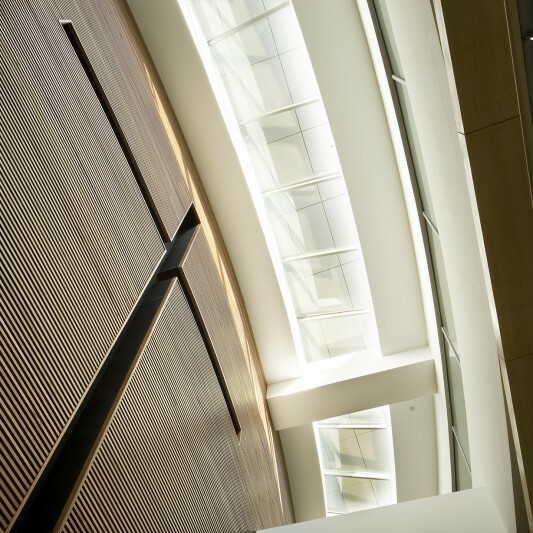 To reduce energy use, Beck’s design used advantageous orientation of the buildings to catch prevailing winds for hotter months and shelter the buildings in colder months. 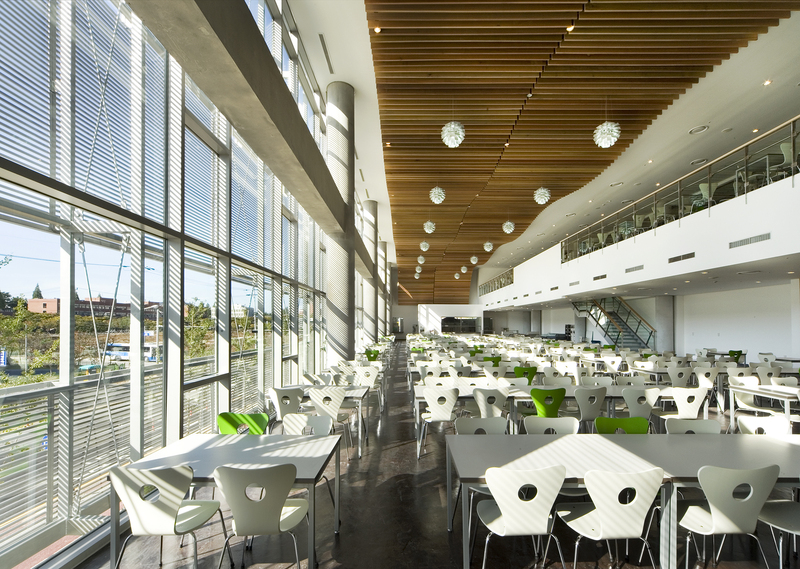 Sun shading devices and exterior ventilation reduce heating loads.